While there is a lot of hype around the launch of Apple’s new all-glass iPhone X, the attention of consumer lawyers is probably focused in a different direction. In April, the Australian Competition and Consumer Commission (ACCC) alleged that Apple had contravened consumer law by wrongly representing to customers they were not entitled to have a phone defect remedied if their device had previously been fixed by an “unauthorised” repairer. The action was brought after reports that some consumers who had their screen repaired by a third party suffered an “error 53”, which disabled their iPhone or iPad, after downloading an iOS update. 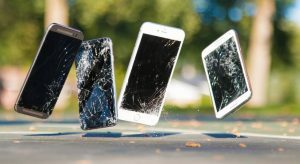 Given that the new iPhone launched on Tuesday in the US, it’s timely to think about the rights available to Apple fans under Australian law if they suffer that most common of breakages – the shattered screen. For screen repairs there are two options: an authorised or an unauthorised repairer. Both have benefits: Apple and its authorised repairers have expertise and may replace what can’t be repaired, while non-authorised repairers can be cheaper and more convenient. But what happens if you have something repaired by someone who is unauthorised, and then you have another fault with your phone? Can you take it back to Apple? other remedies such as compensation for loss or damage. These rights will not be available if the fault in question was caused by a previous unauthorised repair. But such a repair should not undermine consumer rights where it is unrelated to the fault. In other words, if your unauthorised screen repair breaks again or has damaged the underlying display, bad luck. But if you have a software issue, Apple should fix it for you. More generally, it is important for consumers to understand the distinction between the contractual warranty rights given by a manufacturer or retailer and the statutory guarantees laid out in the Australian Consumer Law. Unlike many online sellers, Apple refers to both sets of rights on its website if you dig down into the detail. Unfortunately, the recent case of ACCC v LG suggests that manufacturers or retailers are under no obligation to direct consumers to the Australian Consumer Law when negotiating options for repairing faulty goods. In that case, the ACCC argued that LG had mislead customers, convincing them to pay for repairs when they may have been entitled to a refund or replacement. But Justice Middleton said that LG didn’t have “additional obligation to disclose the existence of the (ACL)”. This means that consumers are responsible for researching, assessing and asserting their statutory rights. So remember, if there is a fault in your new smartphone, then the seller has statutory obligations to provide a remedy. This consumer right is not affected by any carve out or limitations in the retailer or manufacturer’s warranty. Not to mention, your rights as a consumer can apply, even if your warranty has expired. More simply, the guarantees in the Australian Consumer Law trump your new phone contract’s fine print. If you need further advice, or are chasing a repair, get in touch here.